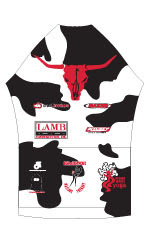 Here is a look at our new clothing kits. Doors open at 5:30 p.m. and there will be a presentation at 6:00 p.m. 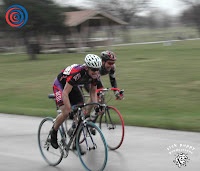 The Kansas Cycling Association has the flyer up for the 13th Annual Spring Fling Crit Series. And don't forget the Perry Road Races on Sundays. 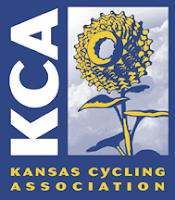 The Kansas Cycling Association will be starting a Race Mentor Program to help novice racers through the sometimes difficult learning period. Experienced (Cat 1, 2 or 3 racers) may start in a Cat 4 or 5 race to train an individual Cat 5 or 4 racer. This will hopefully improve race safety and increase the number of new racers that stick with it. 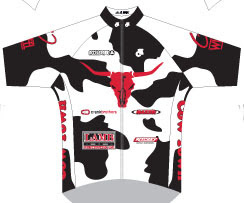 Check out www.kscycling.org for more info. The 2008 racing season as officially started. The Columbia Bike Club hosted the 19th Annual Froze Toes Road Race on Sunday which has become a very popular early season training race. Mesa Cycling's Ethan Froese was the big winner of the day winning the Men's Pro 123 division ahead of Big Shark's Justin Maciekowitz. Check out the Froze Toes Results. 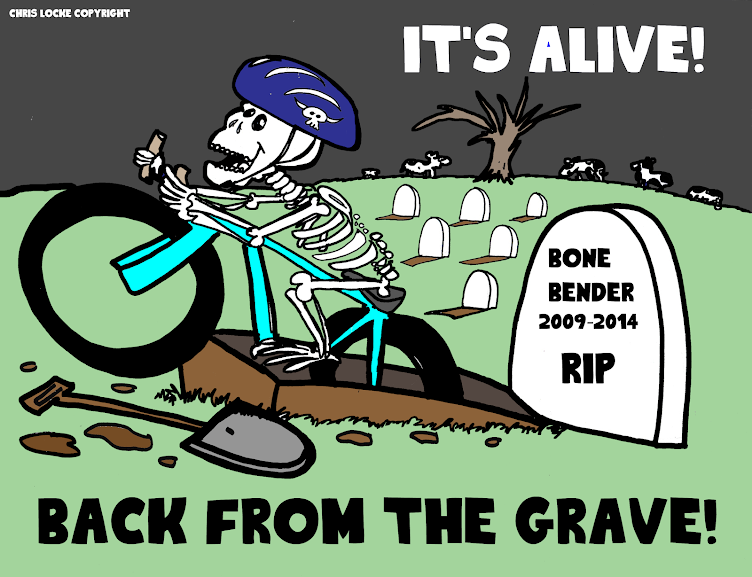 Bicycle Day at the Capitol is Tuesday, February 26th. We are supporting the Safe Streets bill (HB2205) and the Complete Streets bill (HB2206), both sponsored by Representative Mike Sutherland. Trek Bicycle will display the bicycle ridden by American cyclist Levi Leipheimer when he rode in the 2007 Tour of Missouri. Leipheimer is a "rock star" of the international bicycle racing world. 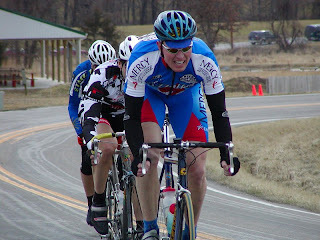 He rode with Lance Armstrong's team for several of Armstrong's Tour de France wins, has 3 top-ten Tour de France finished to his credit, won the time trial of the 2007 Tour of Missouri, and took top honors in the 2007 Tour of California. The antique bicycle display is courtesy James Allen of Springfield. Allen has ridden and displayed his rare and valuable bicycles across the U.S. The 2008 April Adventure is fast approaching. 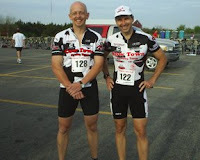 Last year team members Leonard Lastine and Chris Locke participated in this early season duathlon. 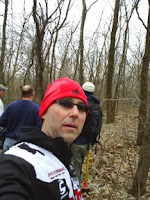 "It was a very fun event, well organized and let me test my early season fitness" - LL. 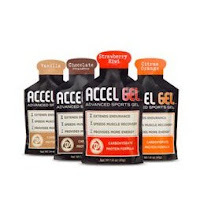 Our sponsor Accelerade is having contest and is given away a free bike and some of their great product as prizes. 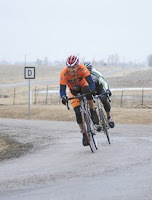 The Kansas Cycling Association is holding a Category C (Beginner) Official’s Clinic this Saturday, February 23. The clinic will be held from 12:30 – 5:30 p.m. at Star Signs, 810 East 9th Street, Lawrence, Kansas. Please consider attending this free clinic and becoming licensed to officiate at USAC races. 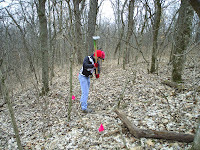 An open book test will be conducted at the end of the course. Attendees passing the test may purchase a 2008 Class C Official’s License for $35. The $35 license fee will be reimbursed by the KCA after the official has worked five races in 2008. 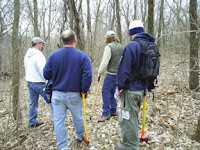 Here is your chance to get in on the ground level of a new trail system. 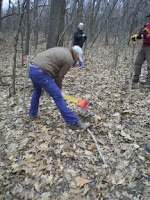 The Stocksdale/Walnut Woods Project is coming along nicely and we plan to have a big workday on February 16th. This will be spent mostly doing tread prep/ raking and cutting bench as most all the corridor is already cleared. 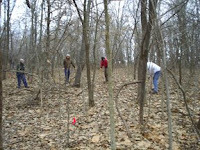 One big day with a good turnout could be enough to complete the Walnut Woods first phase. We will start at 8:30 AM. Bring gloves, boots, water, snacks and layers of clothes. If you have tools, bring them, if not, no problem, he have lots of tools! Here is the official Stockdale Blog. You are invited to Bicycle Day in Jefferson City on Tuesday, February 26th, 2008. We would like to have *at least* 30 people from all across Missouri at Bicycle Day this year. Please invite your friends, colleagues, bicycling friends, and fellow club members! 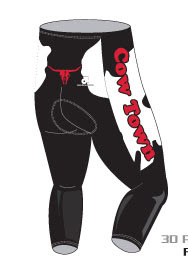 We would like to have all major clubs, organizations, and geographical areas represented. We are planning to create packets for each person coming to Bicycle Day, so please confirm your attendance with me (director@mobikefed.org) ASAP. Our goal is to visit as many of the approximately 200 Missouri senators and representatives as we can on February 26th. We will divide into groups and visit elected officials or staff members if we can and dropping off prepared packets of information for them otherwise. 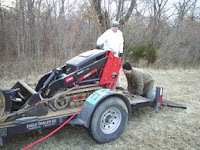 We will also give awards to a number of elected officials who have been helpful to the cause of bicycling, walking, running, and/or trails in Missouri. And, we'll have a great time! Up for some road races this Spring? City Council Members in the appropriate districts of Kansas City, MO. a continuous trail from the Plaza all the way to Olathe, KS. Currently there is no safe way to get south of 85th street in KCMO. representatives from the 5th and 6th Council Districts. Entry fee: free for Cat V Juniors, $25 for other categories. Course: Very flat 31 mile loop with four turns and two big‐ring hills approximately five miles from the finish. The pavement is in relatively good shape with a few rough areas.